A number of madrassas in India are already engaged in radical activities and the new ones will further add to the woes of the security agencies. NEW DELHI: Pakistan-based terror outfit Jaise-e-Mohammad (JeM) chief Maulana Masood Azhar on Wednesday exhorted his sympathisers to come up with proposals for construction of 100 mosques and madrassas in the Indian subcontinent that will double up as jihadi centres for recruitment, training and shelter for the ultras aligned with the outfit. 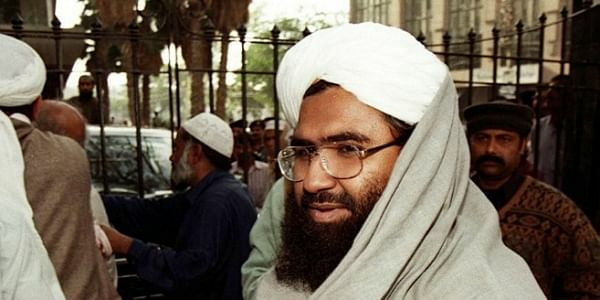 “Kisi bhi jehad mein masjid ek zaroori kirdar ada karti hai (Mosques play an important role in any jehadi movement),” JeM chief Maulana Masood Azhar told his top aides. Specifically qualifying that mosques have an additional role to play for expansion of the jehadi movement besides facilitating prayers, the JeM boss told his sympathisers to come forward and construct new mosques that will also serve as centres of jihadi movement. Sympathisers should either donate land or contribute towards the construction of mosques. “If the sympathisers feel their area of influence needs a mosque and if they are willing to operate such jehadi centres,they should submit detailed proposals for construction of such facilities,” he told his cohorts in Pakistan and beyond. According to officials in the security establishment tracking the terror groups in Pakistan, the jehadi group banned by the United Nations has planned to fund construction of as many as 100 such mosques across the Indian subcontinent with a few to further its jehadi agenda in the region. “The latest move by the JeM is aimed at expansion of terror infrastructure to recruit, radicalise, train and provide safe hideouts in the form of mosques operated by their sympathisers. The outfit will also brand the jehadi activities from such mosques as home-grown terror of the base country and deny its role,” a senior Intelligence official said. A number of madrassas in India are already engaged in radical activities and the new ones will further add to the woes of the security agencies. Containing jehadi activities run from mosques is a complicated issue as any crackdown poses law and order issues, the official added.